Order fulfillment, how value is created and managed within the organisation to meet customer needs. Understanding what customer needs are in terms of quality and volume. Converting these needs into plans and ensure deliveries are made on time to cost. Creating flow and pull throughout the organisation, aligning individuals and teams to create end to end efficiency. Develop planning systems that are flexible in terms of customer needs and consider the impacts of change in terms of people, materials, assets etc. Consistent on time, profitable, delivery of customer needs to plan. This case study highlights the improvements gained through visual management and other improvements, such as lead time reducing from > 50 days to 16 days. This is a case study of the development of a Lean Toolkit for the Horticulture Wales Project, Supply Chain Efficiency Scheme, part of the Rural Development Plan for Wales. This case study highlights the benefits and progress made so far by Intercast & Forge on their improvement journey, financially, operationally and in new ways of working. 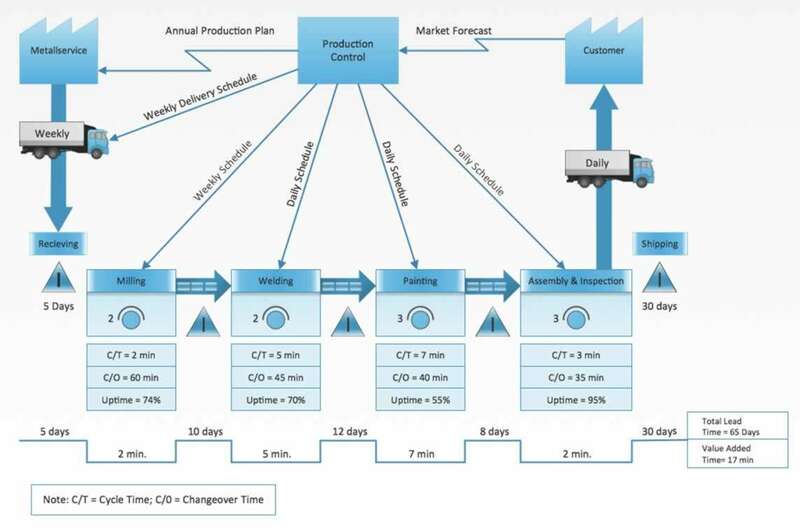 With On Time Delivery (OTD) up from 98% to 100% and being sustained, and a productivity improvement of 86%, this is an excellent case study form a pharmaceutical company.